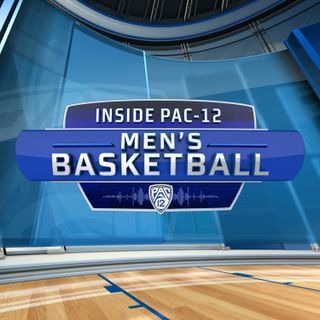 Pac-12 Networks’ Mike Yam and Don MacLean discuss Cal’s stunning victory over Washington and break down the reasons why the Huskies are likely to bounce back (1:13). They also talk about Arizona State’s important victory over Oregon State (5:00) and predict who will be the Top 4 seeds in the Pac-12 Tournament (8:30). Mike and Don interview Pac-12 Networks’ P.J. Carlesimo, and ask him about the overall state of the conference (12:00). P.J. also talks about Washington’s zone defense ... Más informaciones potentially surprising some teams in the NCAA Tournament (16:30) and recalls coaching legends like Michael Jordan, Larry Bird and Magic Johnson on the 1992 U.S. Olympic Dream Team (26:12). Don evaluates the NBA potential for Colorado’s Tyler Bey and McKinley Wright (38:44), and break down what areas of their game they need to improve to make it to the next level. Finally, on “Story Time with Don MacLean” he describes the amazing amount of talent on his youth teams and discusses Shawn Kemp’s incredible skill level growing up (46:22).